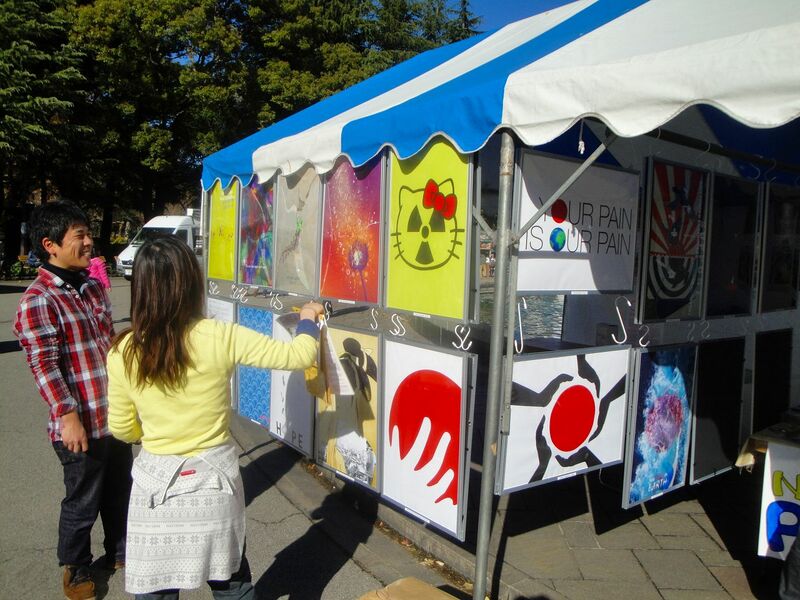 The Tsunami of Japan brought the posters of Project Sunshine for Japan to Iran. 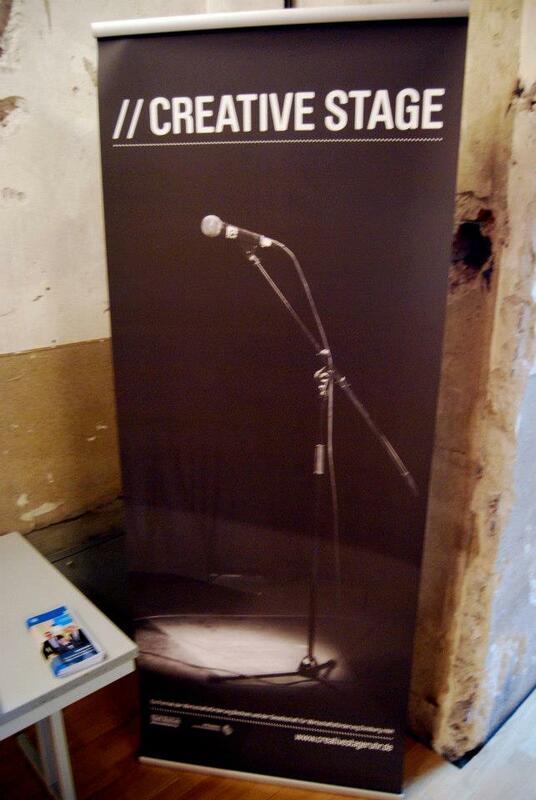 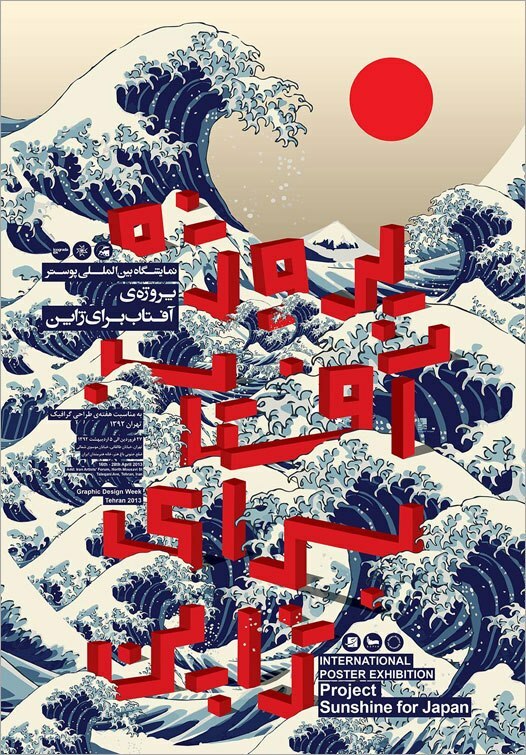 A pleasure presents our 100 posters during the Graphic Design Week 2013 on April 16 at House of Art Iran-Tehran. 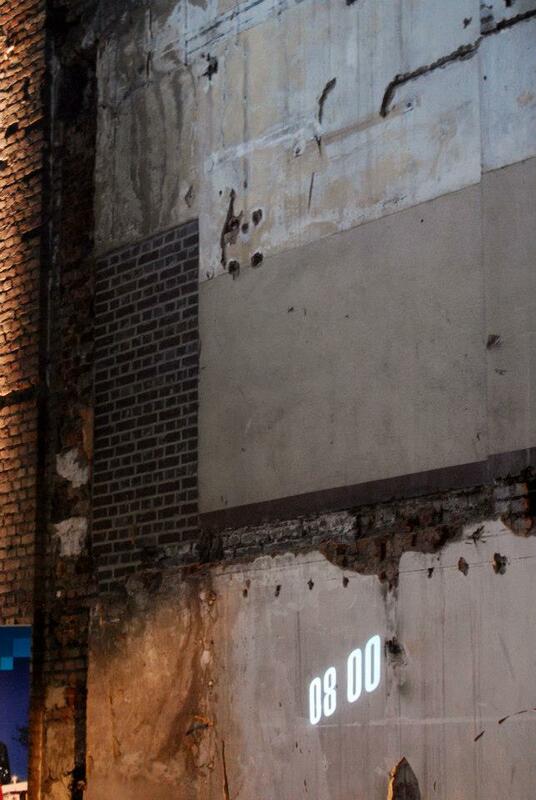 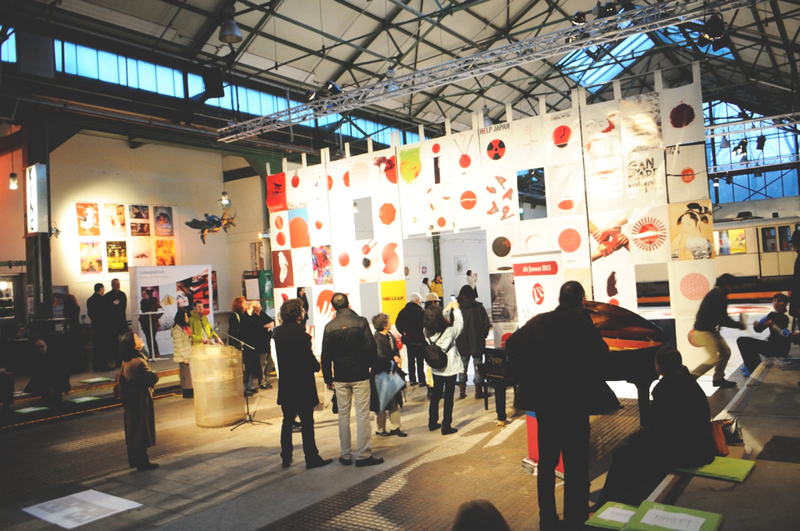 The Graphic Design Week is an annual program of Iranian Graphic Designers Society (IGDS). 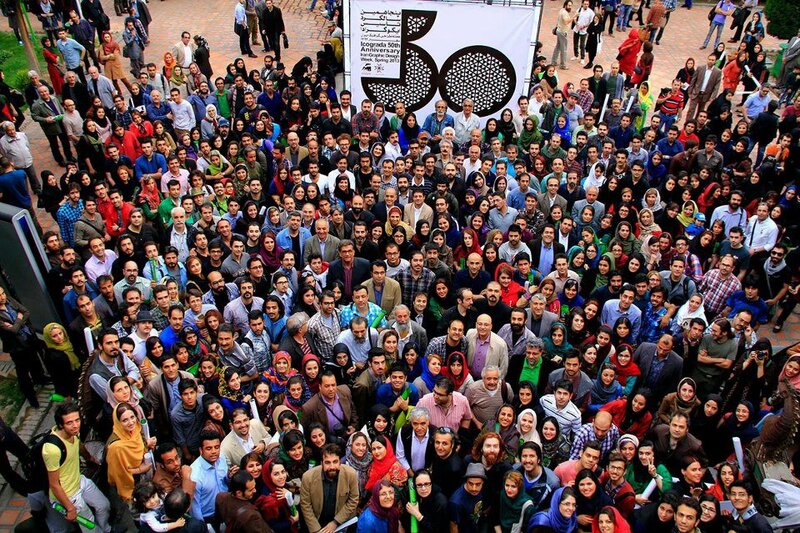 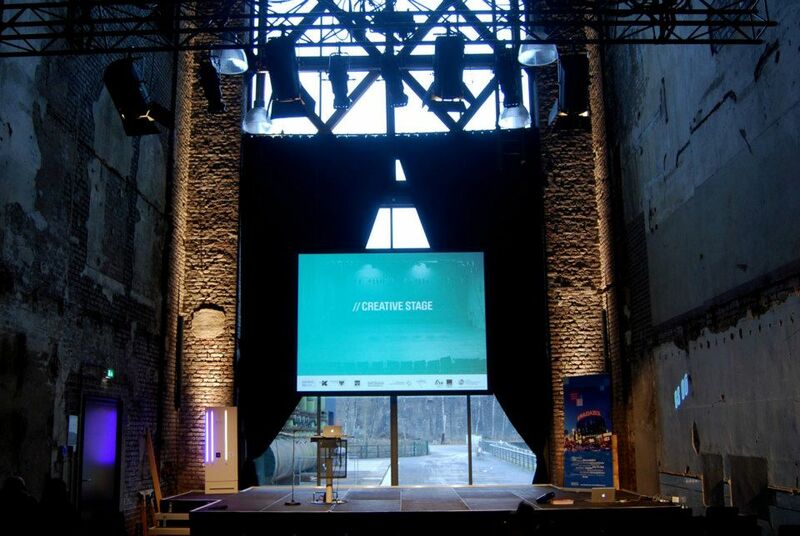 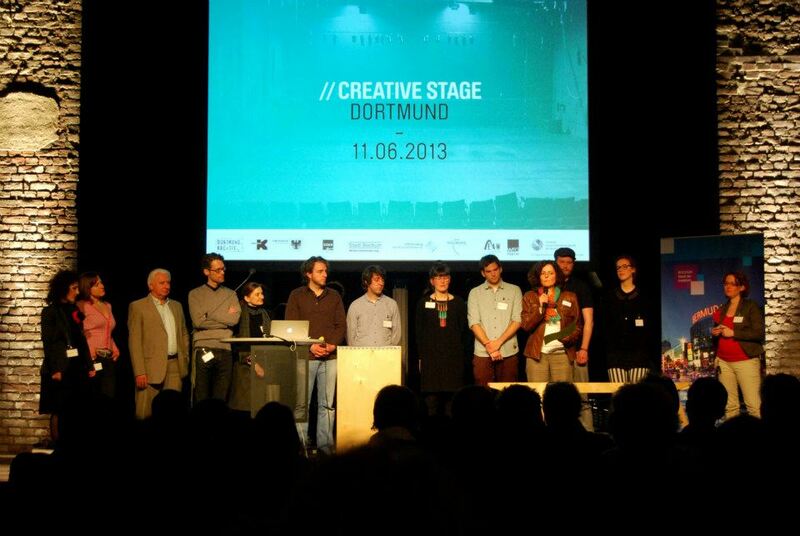 April 16th, 2013 at 5pm in the presence of some prominent Iranian designers. 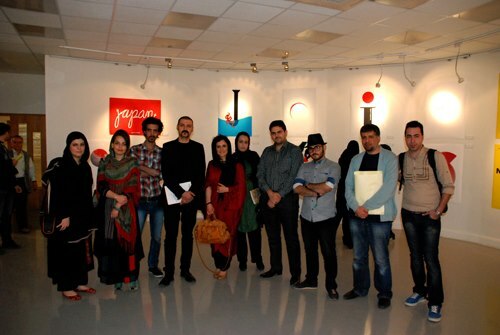 More info in Persian language about the Exhibition in Tehran. 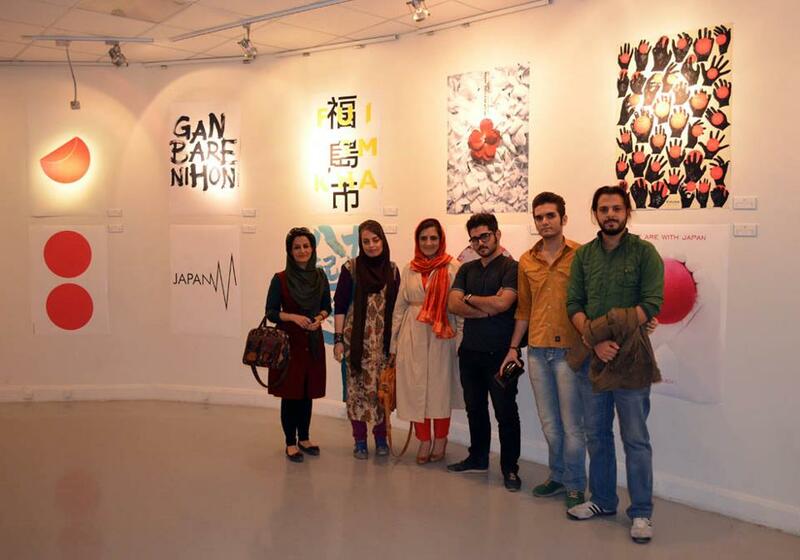 More information in Persian language about the Graphic Design Week 2013. 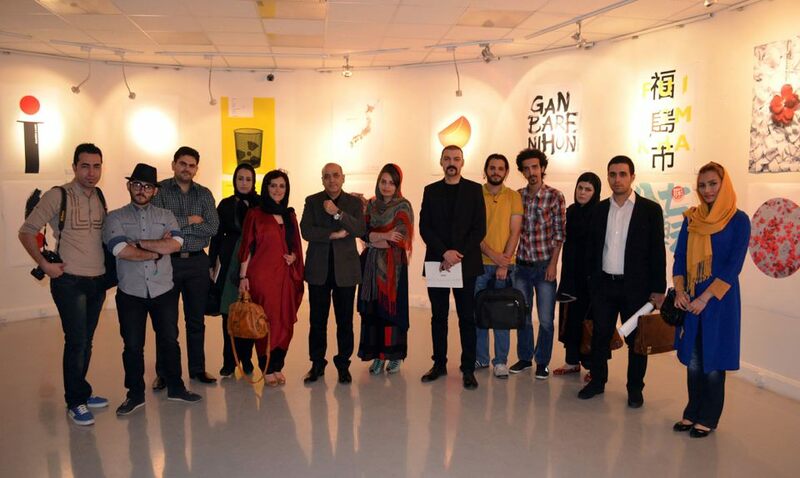 The exhibition in Tehran with a great success. 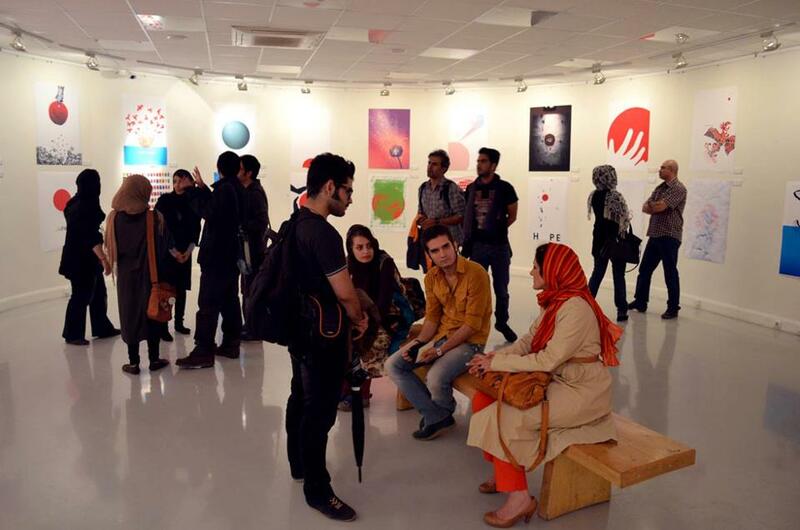 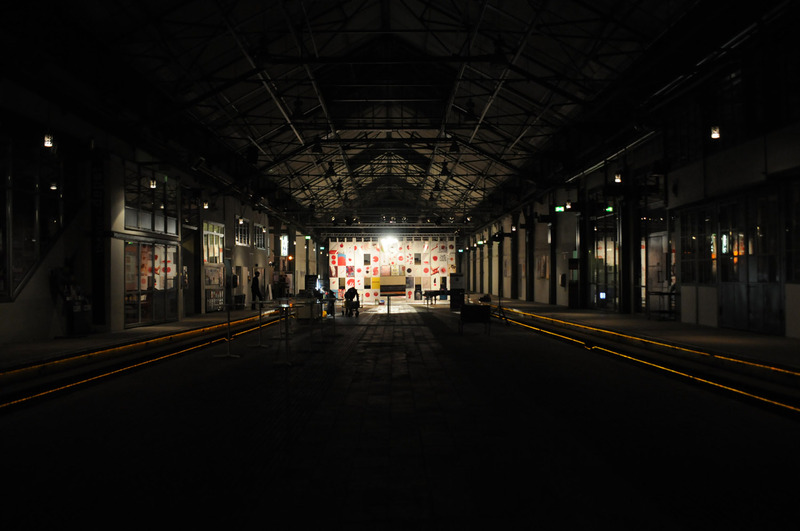 Over 1500 people have visited the exhibition during the Graphic Design Week 2013 in House of Art Iran-Tehran. 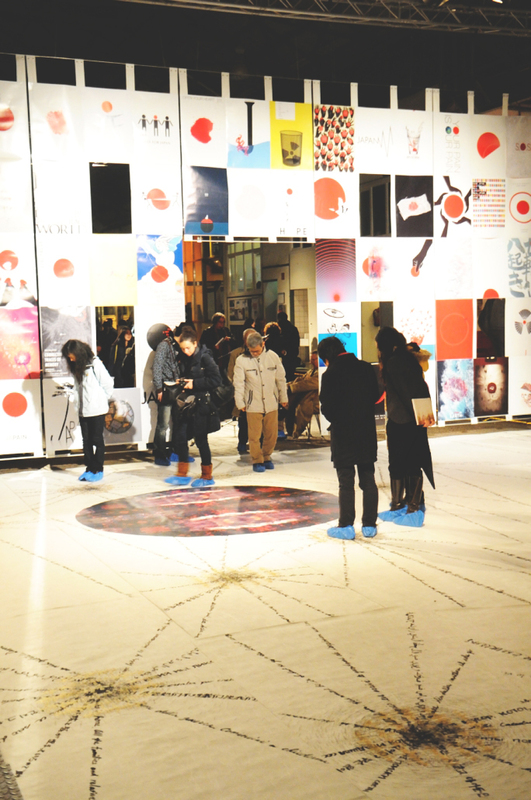 This book is dedicated to the victims of the earthquake, tsunami and nuclear reactor disaster in Fukushima 2011. 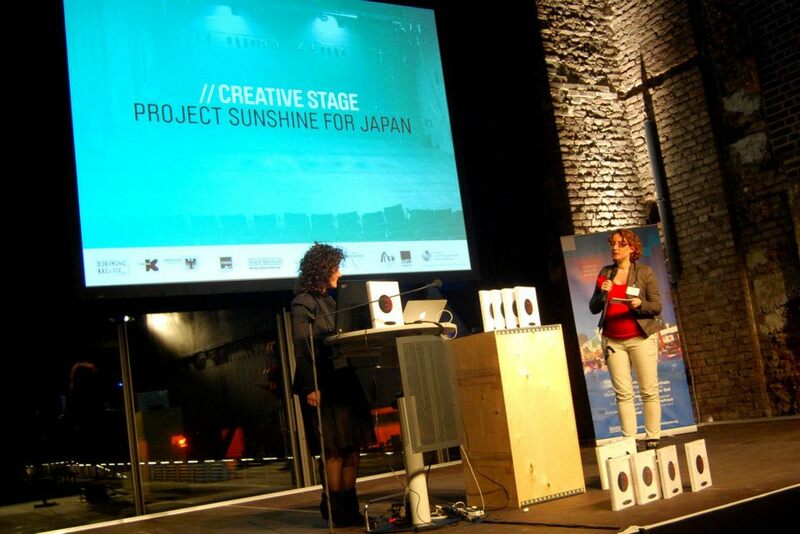 As the first reports of the suffering experienced by the victims in Japan were received, Mansoureh Rahnama in Germany used her initiative to found Project Sunshine for Japan, launching an international poster competition, in which approximately 400 designers from 40 countries participated. 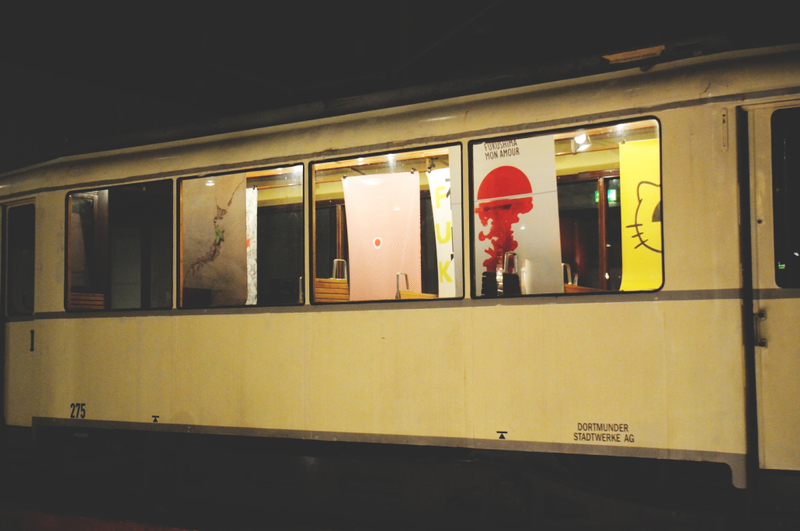 This book presents for the first time all of the 100 best posters, chosen by an international jury of renowned designers. 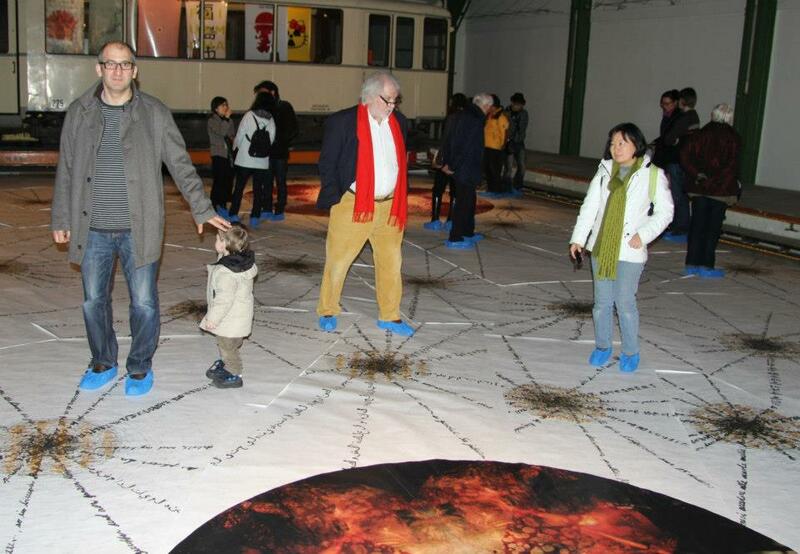 The images are supplemented by numerous contributions by authors from 15 countries –printed here in a total of 12 languages –and their English translations. 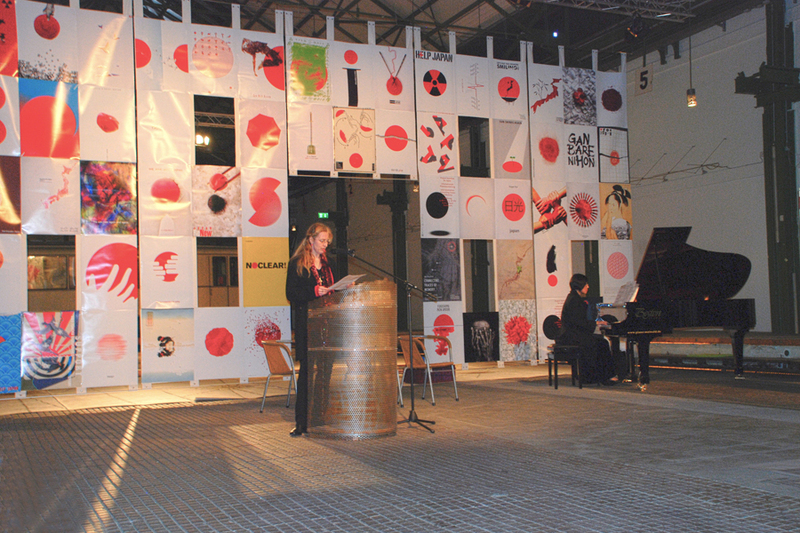 The texts range from poems, short stories, works of fiction and descriptions of events, to factual pieces and initial reactions from the scientific world. 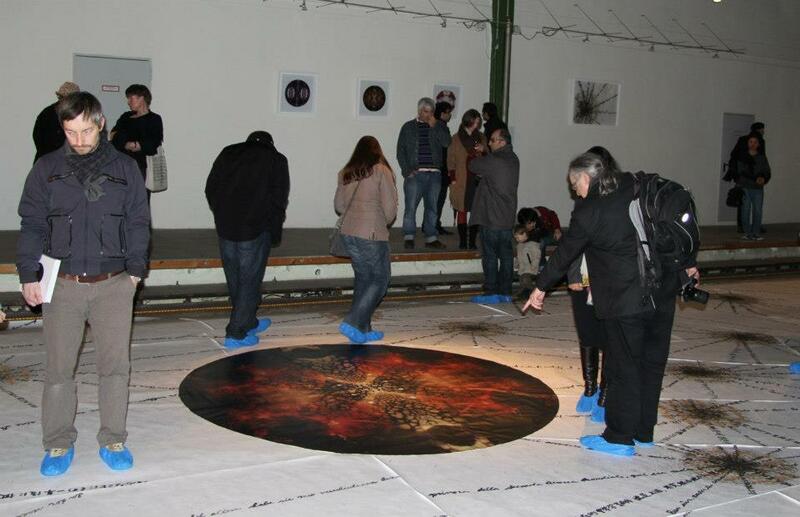 The different perspectives discussed are divided into four chapters: Faith, Disaster, Reflection and Continuance. 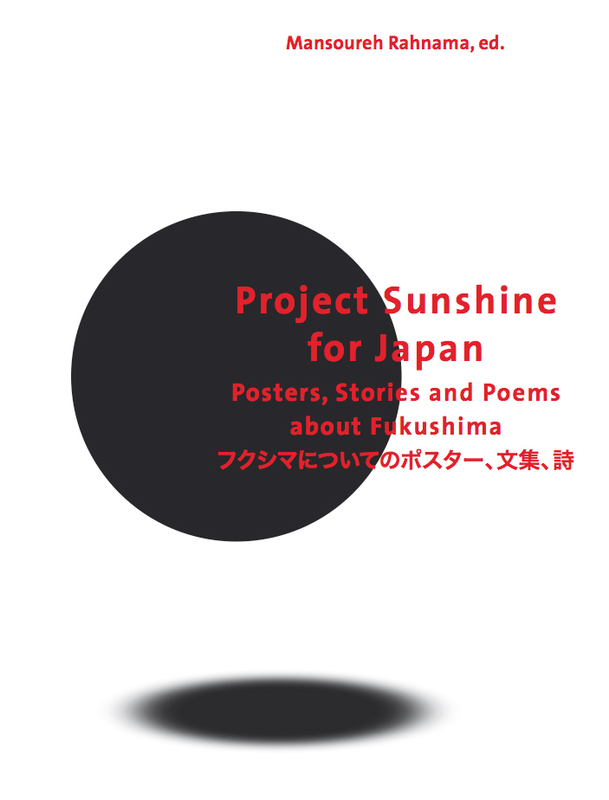 The 100 posters of “Project Sunshine for Japan” will be presented along with an art exhibition “Connecting Traces of Memory” by Japanese contemporary artists Shinpei Takeda (Mexico) and Yumi Watanabe (Germany). 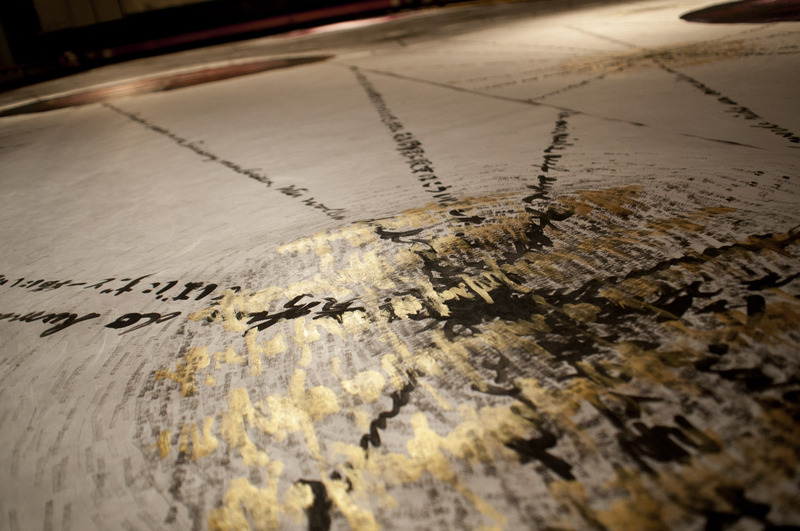 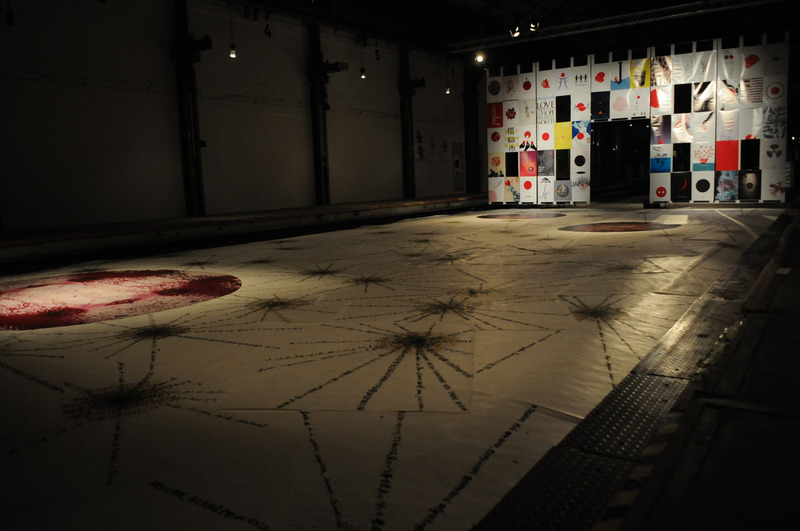 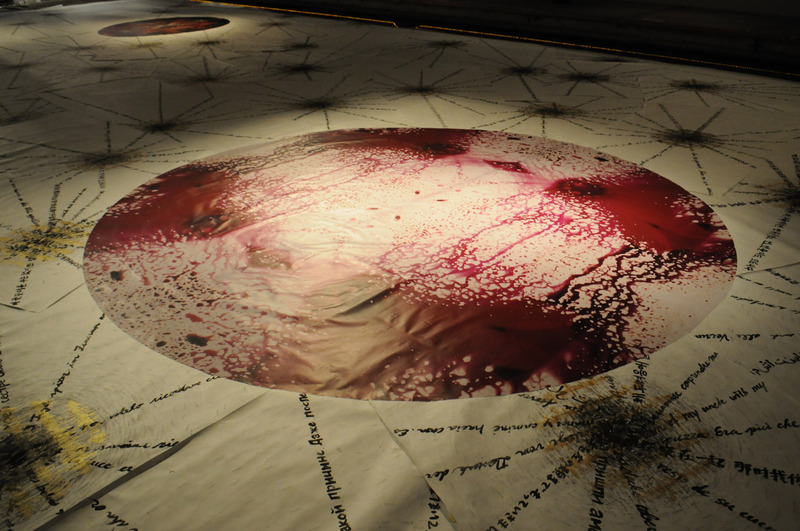 Both having worked on themes of Hiroshima and Nagasaki for years, will mount a large scale installation about the psychological, historical and physical journey and correlation between Hiroshima – Nagasaki of 1945 to Fukushima of 2011. 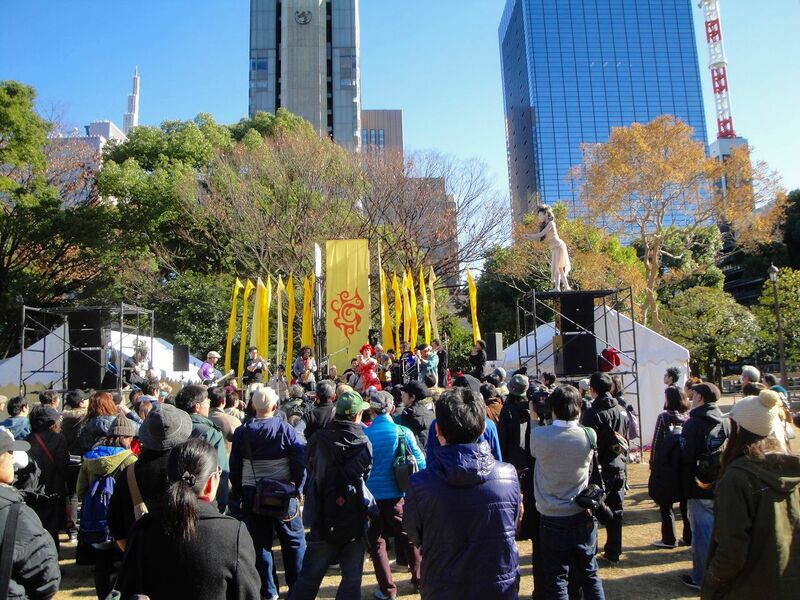 It works on a flashback of Japan’s history and creates insights into the current situation two years after the disaster in Japan and views of its future. 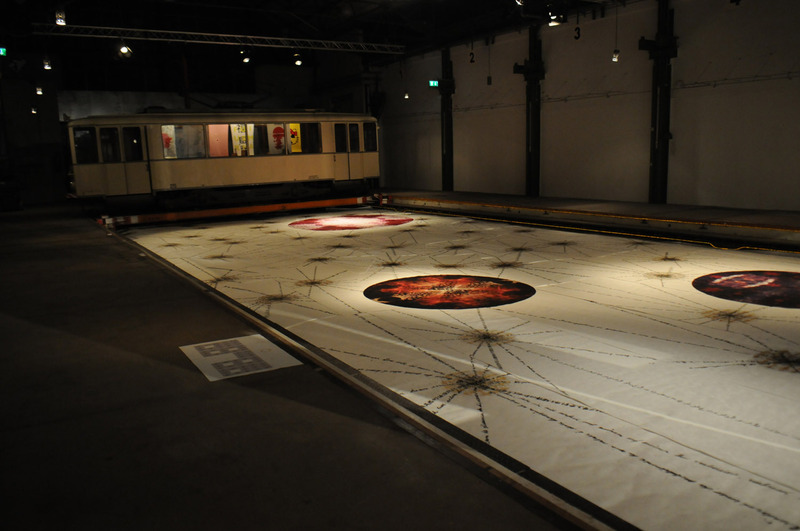 These are views that are possible only from a distance in this form. 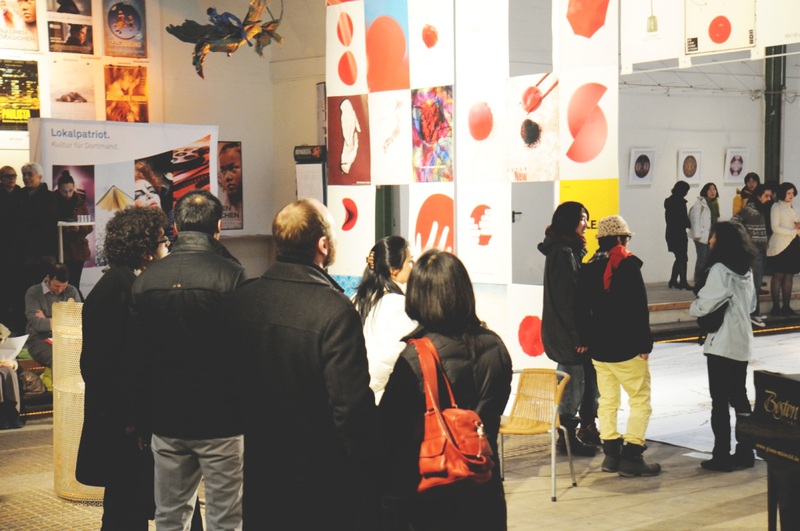 The purpose of this exhibition is to provide cross-cultural understanding. 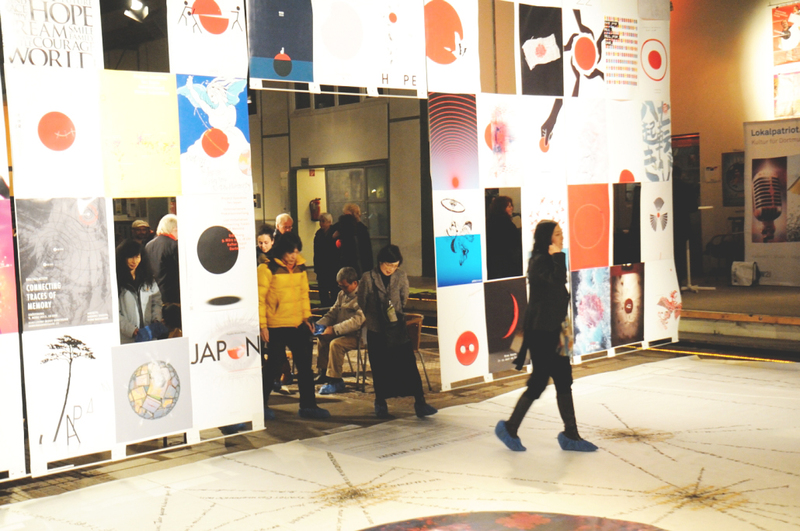 And the participation of various artists and designers from many cultures shows the different ways of dealing with disasters of this kind, which is very impressive. 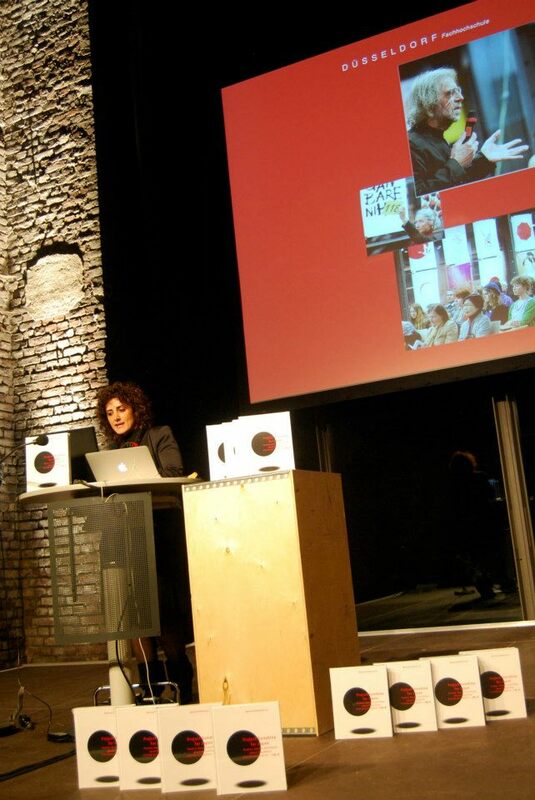 It enables a worldwide cultural exchange – as in the local and simultaneously an international network of young creative people and creative directors who are already established and the companies. 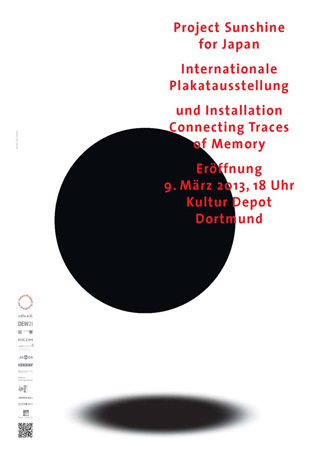 On March 9th 2013, from 6pm 100 posters of the “Project Sunshine for Japan” and the art installation “Connecting Traces of Memory” will be inaugurated with an exciting musical and literary evening performance. 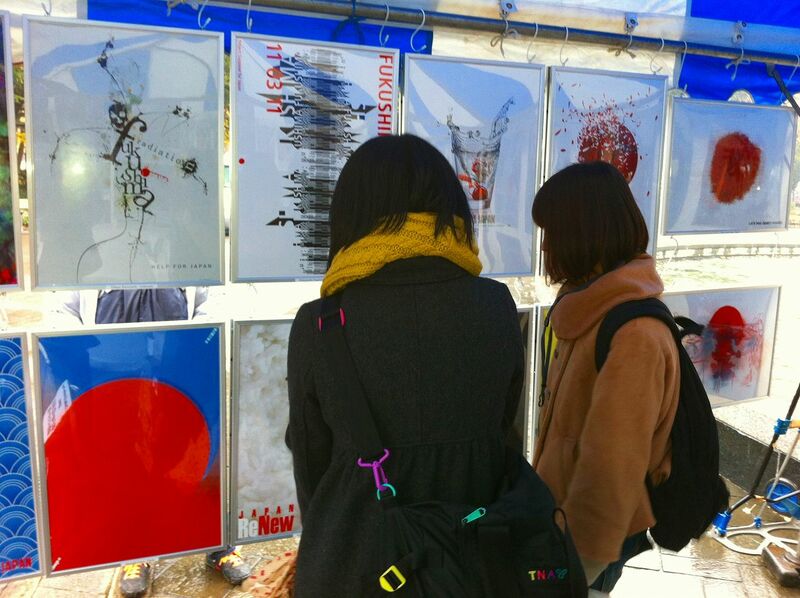 The exhibition is accompanied by a catalogue. 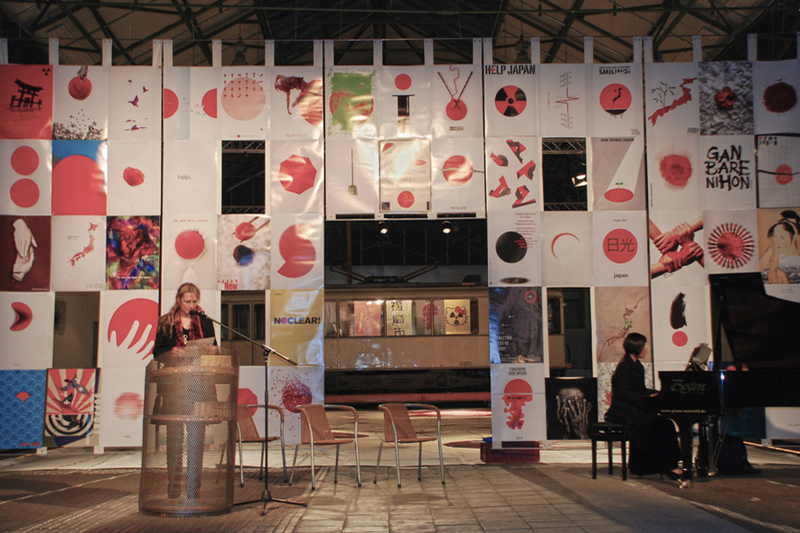 The catalogue presents the award-winning posters for the first time in the form of a comprehensive publication and supplements them with numerous articles by international authors -from 15 countries in 13 languages- dealing in various ways with the three-fold disaster. 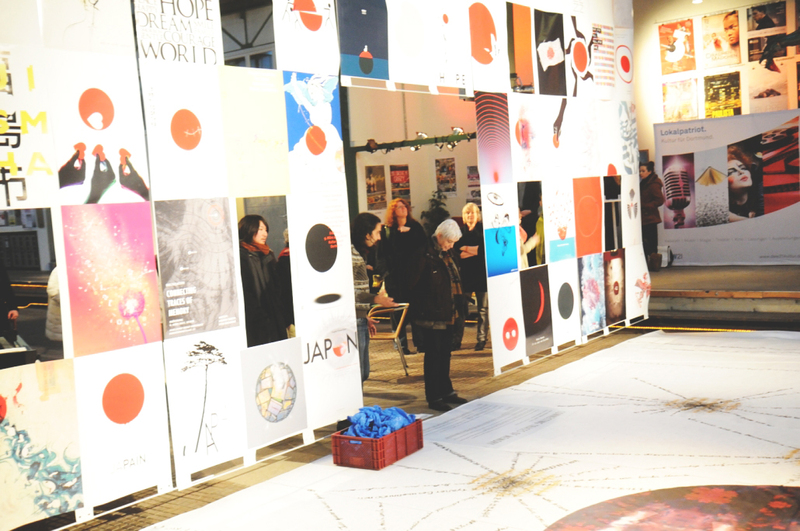 The exhibition will be presented in the Kulturort Depot (Cultural Center Depot) Dortmund and is supported by DEW21, the Cultural Office of the City of Dortmund, the Japanese Cultural Institute in Cologne, International Office of Technical University Dortmund, Sparkasse Dortmund, RICOH Deutschland GmbH, MDV Papier- und Kunststoffveredelung GmbH, the NW-Projekt Network-Advertising Production, and the Protestant Students Community Dortmund and Fine Art Print. 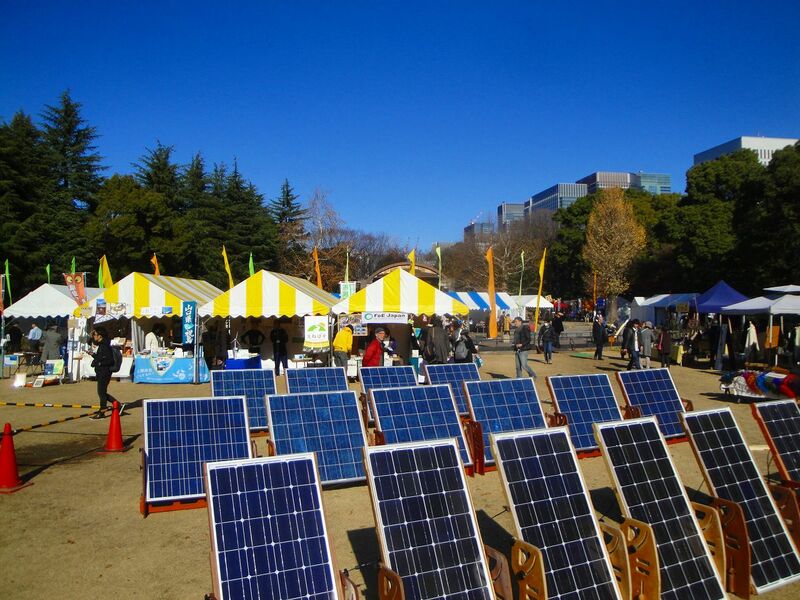 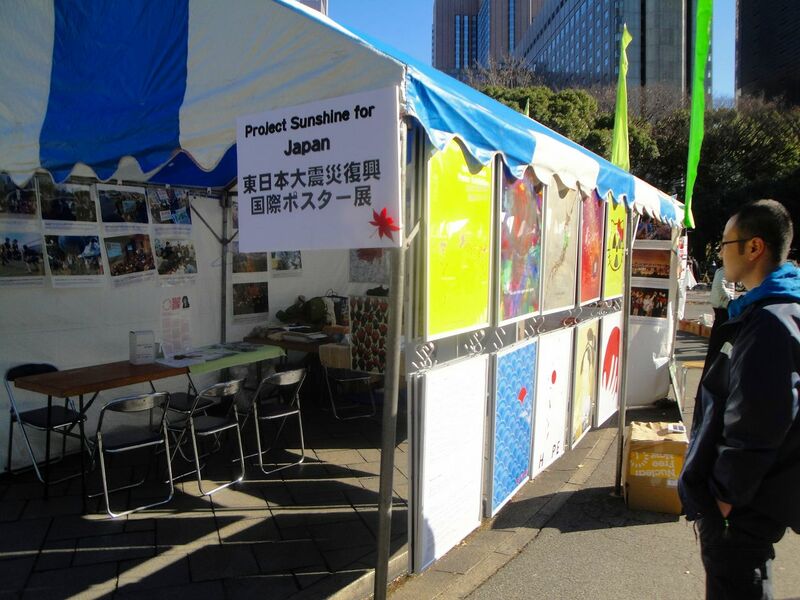 Project Sunshine for Japan exhibition was displayed with the kind support of Peace Boat on Dec 15 – 16 at the Global Conference for a Nuclear Power Free World 2 at Hibiya Park situated at the centre of Tokyo. 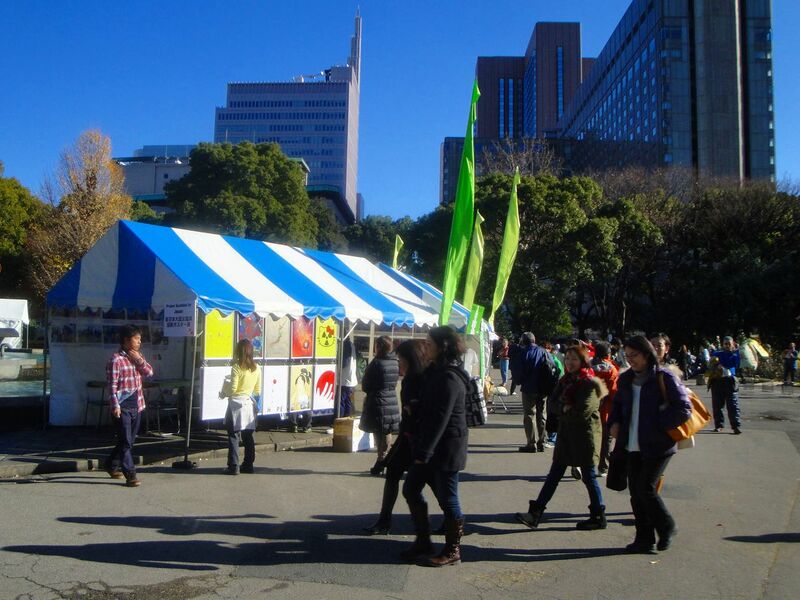 More than 40 NGO’s participated and set up tent booth to introduce their activities by music, dance, appeals and reports on ‘open air’ stage. 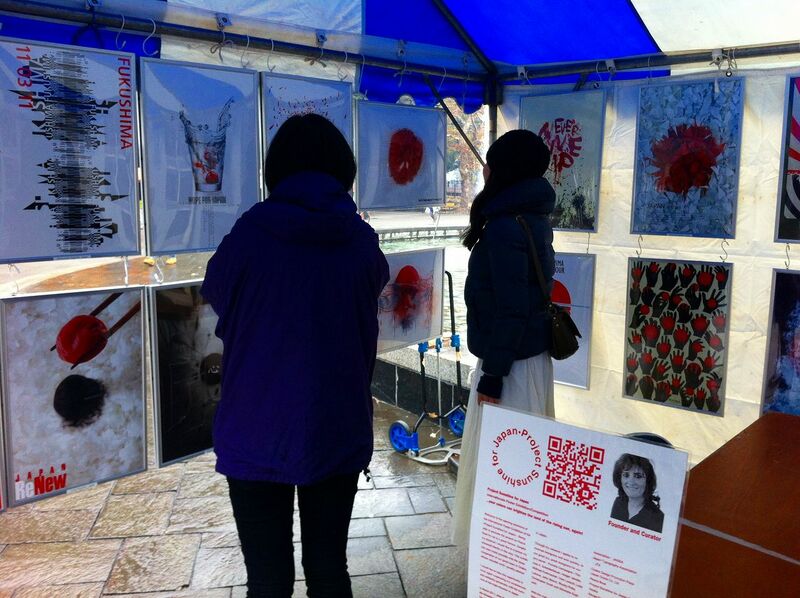 Many young people were interested in the exhibition and watched it seriously.